Minister of Transport, Dr Blade Nzimande. 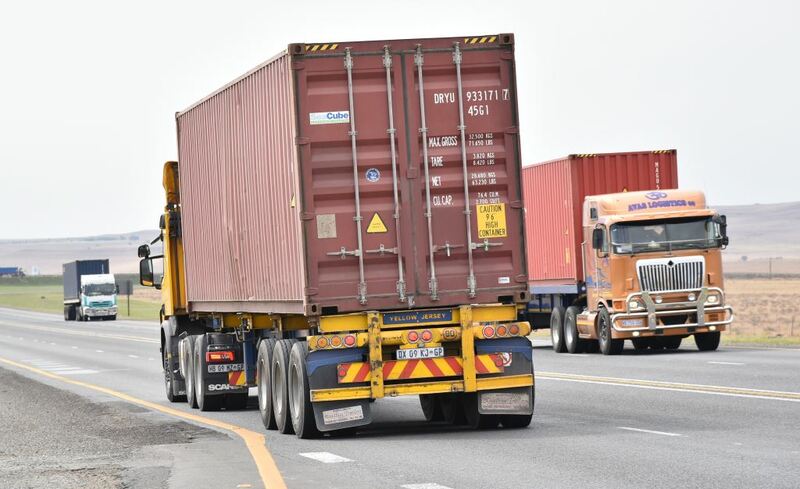 A national crisis has been avoided via the decision by the Minister of Transport, Dr Blade Nzimande, to extend by one year the existing moratorium – originally granted in 2011 and due to end on January 1, 2019 – on the haulage of High-Cube containers. During this extended year, an inclusive Technical Task Team constituted of the Department of Transport officials and the industry will review, evaluate and finalise the matter. High-cube containers can continue to be hauled at a height of 4,6m under the one year extended moratorium granted by the Minister of Transport. Here one arrives at the Grindrod Gauteng Intermodal terminal. 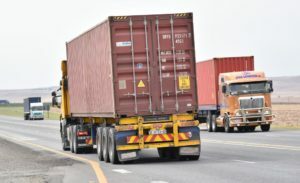 What this means is that the exemption granted for transporters to haul high-cube containers at 4,6 m as opposed to the legal 4,3m (Regulation 224 (b) of the National Road Traffic Regulation Act) is still in force for the next year – from 01 January 2019 to 01 January 2020. The overall height of a truck loaded with the old GP box is approximately 4.3m. However, the overall height of a truck loaded with a high cube container is approximately 4.6m and the legal height under existing legislation is 4,3m. This picture shows the extent of high-cube containers being hauled on our roads. This is on the N3, a critical import/export route. Three trucks all hauling high cubes at 4.6m. If the one year extension on the moratorium had not been granted, the three trucks seen here would have been operating illegally after January 1, 2019. In effect, if the moratorium was not extended, transport operators carrying high-cube containers would, after January 1st 2019, be hauling illegally as they would be over the existing legal height. 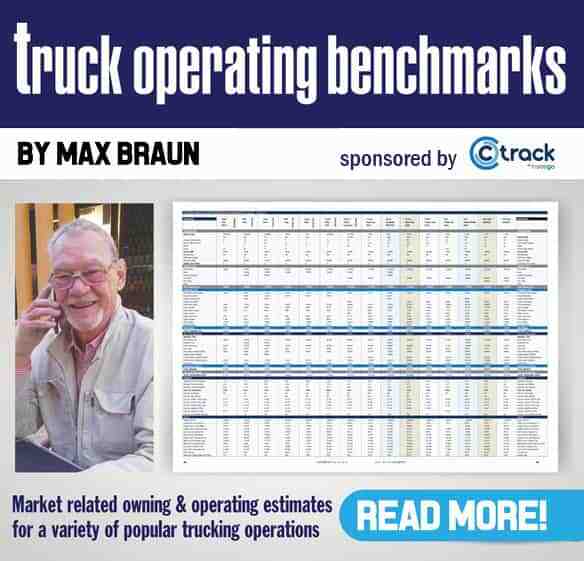 The container flow across our country would have literally come to a halt as the industry cannot afford to either adjust existing trailer equipment or buy new trailers to meet the 4,3m height legislation when hauling a high-cube. And they certainly would not have risked getting fines every day for being illegal. Given this, what the industry has been asking for is for the Minister to amend the existing legislation – Regulation 224 (b) of the National Road Traffic Regulation Act – from 4,3m to 4,6m. This has not been done so the problem is still there but at least there is more time to allow a final, qualified decision to be made. Many thousands of high-cube containers come in and out of our country every year. This is just a small section of just one of the many container terminals around the country. A year is not a long time and FleetWatch can only hope that the final decision won’t be left as a 12th-hour reprieve as was the case here. It caused huge anxiety in the industry and if the moratorium was not extended, would have had a disastrous effect on our economy at a time when South Africa can least afford it. We’ve got enough post-Zuma hassles to fix as it is. The Minister of Transport, Dr. Blade Nzimande, met with representatives of the freight logistics value chain to deal with the implementations of the regulations on high cube containers. Minister Nzimande was joined by officials from the Department of Transport, Port Regulator, Transnet Port Terminal, SANRAL and representatives of the Western Cape government. The meeting discussed the implementation of Regulation 224 (b) of the National Road Traffic Regulations, 2000 under the National Road Traffic Act, of 1996. The regulations provide that any vehicle, other than double-deck busses, may not exceed an overall height limit, including load projections of 4.3m. The High Cube container has an overall height of 2.9m compared with the 2.6m for a standard container. This means that a vehicle transporting a standard container, with an overall height of 4.3m would not be permitted to transport a high cube container. The meeting agreed to place a moratorium on the application of punitive measures and that Law Enforcement Agencies collect data for the purposes of the smooth transition when the period expires. This moratorium will be in effect from 01 January 2019 to 01 January 2020. The Technical Task Team is expected to report progress on its work including the research to be led by the Council for Scientific and Industrial Research (CSIR) in June 2019. 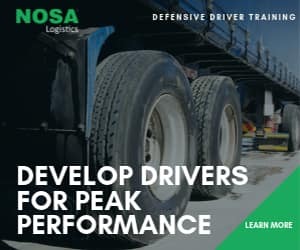 “In arriving at this decision, as the Minister of Transport, in line with the resolutions of the Jobs Summit and the International Investment Conference held by South Africa, I have considered the role of the road freight industry and maritime industry in driving confidence in our country’s economy and help spur sustainable and inclusive growth,” said Minister Nzimande. 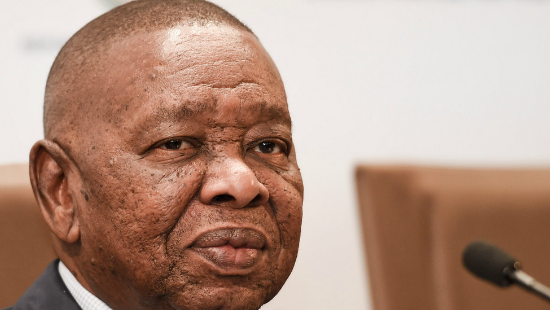 Minister Nzimande further said that the industry must use the temporary relief to ensure that they adhere to all the laws of our country which are aimed at levelling the playing ground for all economic variables without degrading public infrastructure such as road and associated services. “In doing so, the industry must also be active participants in the implementation of the National Road Safety Strategy; the Comprehensive Maritime Transport Policy, in particular Coastal shipping and observe all Labour Relations laws including sectoral determinations,” emphasized Minister Nzimande.